I've used Lancome skin care and make-up on and off since my teens. 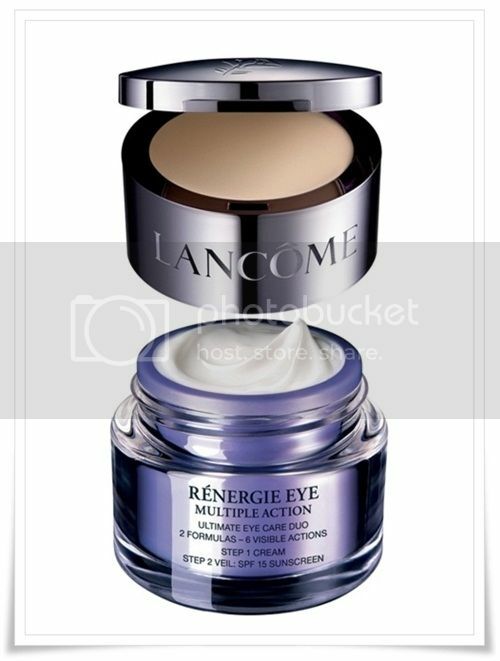 Recently, I've fallen in love with their Lancome Rénergie Eye Multiple Action Eye Cream and just wanted to share it with you. This 2 step cream is not only an amazing eye cream but also a concealer. It is a bit pricey ($90) but to me this combination of two products is worth the price. As an eye cream it is moisturizing and firming and as a concealer it is smooth and silky. The "veil" which acts as a concealer is what sold me on this product as it offers great coverage and gives the smoothest finish. If you're looking for a new eye cream to try out, give this one a try.